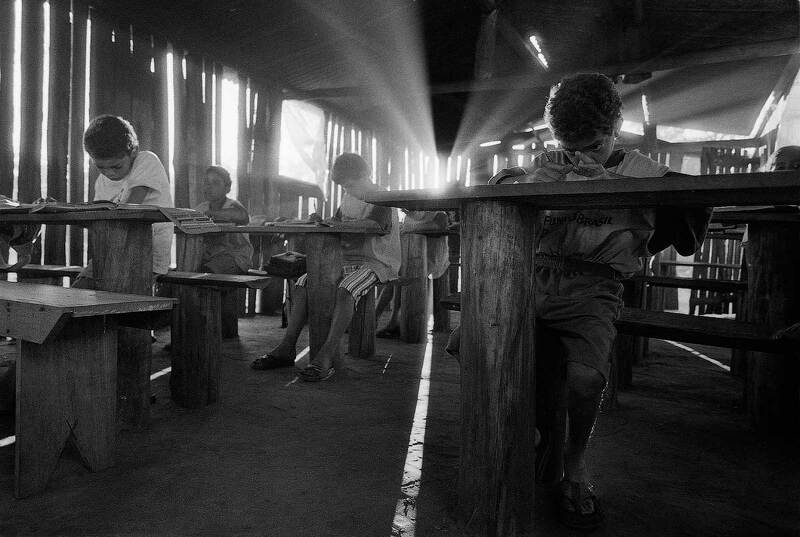 Rural school in charcoal works at Ribas do Rio Pardo rual area, Mato Grosso do Sul State, mid-west Brazil. Lucky children who have available hours in the charcoal production line attend an improvised school no more than two hours a day, two days a week. Because there is only one teacher, pupils of different grades share the same class. When it rains, classes are called off because water gets in the room all over the place. No electrical light.